Okay, who else is excited for spring weather? Do you have a spring wedding coming up? With some many beautiful flowers and dresses starting to pop up every where, I thought it was the perfect time to share this awesome Spring Wedding Shoot. I really love simple, yet elegant pieces. Those are the dresses I create, in the addition of accessories that give a little something extra. Styles can be so plain, but add a little lace and some creativity you’ve got yourself the perfect dress you’ve been searching for. Officially I have fallen in love with pick-ups in the skirts fabric and excited to show off this new dress! The headpieces are Grecian style with laurel leaves, pearl beads and swarovski stones (silver crown only). The gold belt is a simple criss cross with inset jewels attached to a satin off-white ribbon. Each of the wide ribbon belts are appliques, carefully attached which can be tied in a bow or sewn onto your wedding dress. This shoot was shot at Studio by House in Mississauga. A perfect place with different set ups to capture all the fabulous concepts we each created for this day. I think it would also be a great if you wanted to get pictures of you and your man or you and your ladies done. There are some great shots you’re about to see, I hope you’re inspired! At the end of last summer, I did an amazing collaboration with quite a few talented ladies. 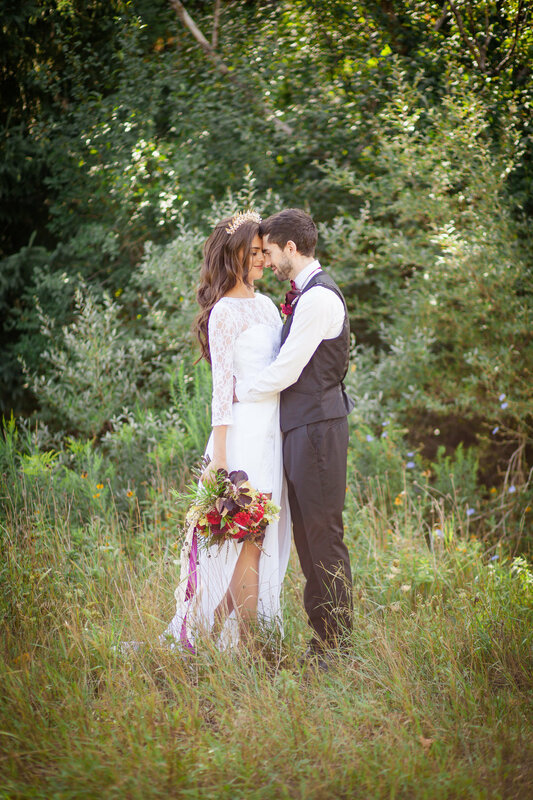 This Fall elopement shoot was incredible. We just got to the location just after a storm passed at 8am, it was a bit chilly that morning and very windy. But as we all arrived and got every thing set up, Models dressed and camera ready. It got warm, blue skies appeared and the sun created such great light peaking through the woods. Claireville Conservation in Brampton, Ontario is like a dream. Especially for a photo shoot, we had several landscapes to choose. From rolling Hills to a rocky road and even into the woods, no wonder we all had such a fabulous day! 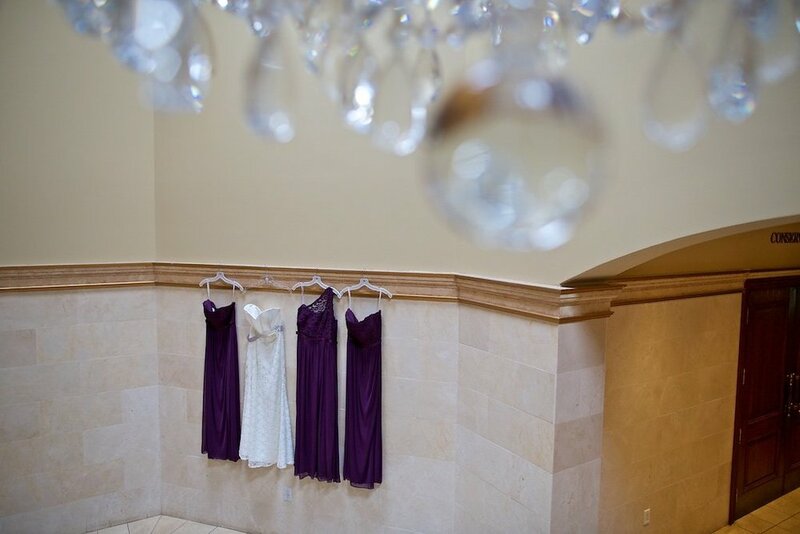 The couple were gorgeous and really so in love, which truly takes your breath away with such intimate moments. I was lucky to be apart of something so very special. If eloping were just like this, I think more couples would do it ;). Creating this dress was really wonderful, from the first designs to the day of the shoot. It is romantic and flowing plus a little flirty underneath the beautiful veil like removable skirt. 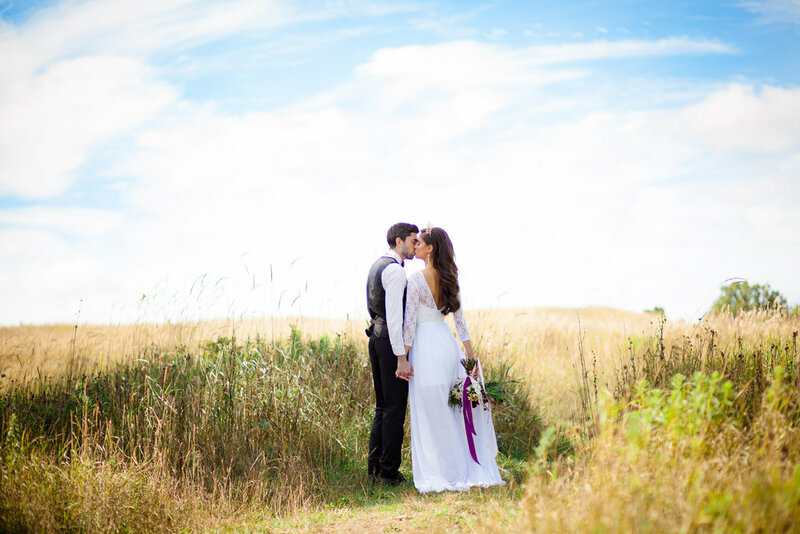 I love the way the wind carries and fills it up in some of the gorgeous pictures by Roxana Martinez Photography. I hope this inspires you and fills you with so much joy! Design: Coordinate This Design & Decor Inc. If you are interested in an elopement but still want some family and friends there, the best place to go is Coach House Weddings. I recommend this unique and wonderful experience!